Fort Lee Appliance Repair is a professional appliance repair service in Fort Lee, NJ. We guarantee quality customer service and care. Services include dishwasher repair, refrigerator repair, dryer repair, oven repair, washing machine repair and more! We do everything that we can to show our customers how appreciative we are for their trust and their business. You can depend on Fort Lee Appliance Repair! 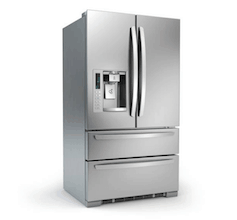 Fort Lee Appliance Repair can troubleshoot and fix common refrigerator problems for most common brands and models. We can repair burnt-out light bulbs, touch panels, leaks, water dispensers, loud noises, cooling problems, condensation issues, ice makers, digital technology and more. We will identify the problem then use manufacturer replacement parts to complete the refrigerator repair. Learn more. A washing machine malfunction or dryer on the fritz is a serious inconvenience in a home. Homeowners do not have time for visits to the local laundromat in town. Fort Lee Appliance Repair will arrive on-time and will solve the issue fast. We will repair top- and front-loading models and vibration, agitation, noise, door, switch, control panel and vent issues. 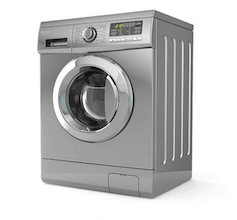 Same-day washer repair or dryer repair isn’t a problem for Fort Lee Appliance Repair. Learn more. Residents of Fort Lee can request same-day service for dishwasher repair! Our technicians know how to repair most dishwasher problems including – float switches, cloudy glassware, impellers, pump assemblies, solenoids, smells and several other parts. 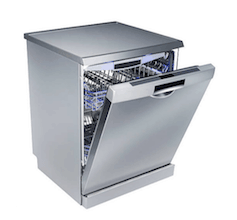 Dishwashers are complicated kitchen appliance and many problems can interrupt wash cycles. Some stop drying. Fort Lee Appliance Repair can identify and fix them all. Learn more. Fort Lee Appliance Repair will fix broken stoves and ovens. 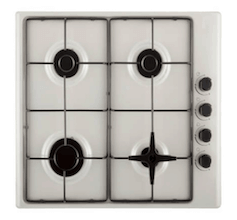 We can repair gas and electric ovens and all issues with burners, ignitors, doors, relays, switches, bulbs and more. 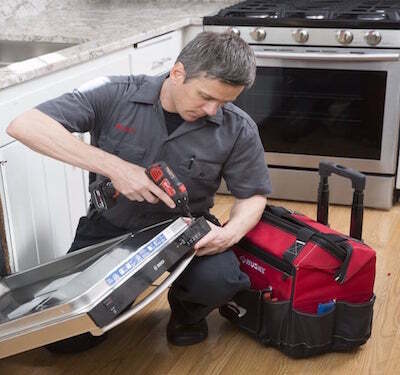 Our repairmen have the tools and experience to repair all types of ovens fast! This also includes the latest models and luxury brands. Learn more. Fort Lee Appliance Repair is located in Fort Lee, New Jersey. We serve several additional neighboring cities as well. You are in great hands with our local, certified technicians. All repairmen participate in continuous hands-on education and training combined with their years of field experience to promise we can complete all home appliance repairs. Speed is an important part of our appliance repair service. We know how much of a hassle a broken appliance can be. That’s why we provide same-day repair to homeowners in Fort Lee. Our goal is to finish our stove repair, refrigerator repair, dishwasher repair, washer repair and all repairs the same day and during the first visit to your home. ASAP! The brands we are familiar with include – Kenmore, Maytag, Whirlpool, LG, Samsung, GE, Kenmore, KitchenAid, Wolf Bosch, Sears, Sub-Zero, Frigidaire, Amana and more. Be sure to read our Appliance Repair FAQ below. We load our vans with manufacturer parts and provide a 12-month warranty on all replacement parts we install and labor in order to guarantee customer satisfaction! A. A broken appliance in your home leads to one of two choices. You can schedule appliance repair to attempt to save a little money and keep using your old oven, refrigerator, dishwasher or dryer or washer or replace the broken appliance with a new model. Appliances have an expected lifetime. If your broken appliance is within the earlier or middle stages of that lifetime, we recommend calling our appliance repair service. If the appliance is coming close to the end of its expected lifetime, we then recommend replacing it with a new model if your budget allows. Q. DOES YOUR SERVICE INCLUDE A WARRANTY OR GUARANTEE? A. Yes. Our service includes a 12-month warranty on manufacturer parts and our labor. We also use manufacturer parts for GE, LG, Frigidaire, Kenmore, KitchenAid, Sub-Zero, Whirlpool, Wolf, Amana and several other common appliance brands to preserve the manufacturer’s warranty. Don’t hesitate to reach out to us anytime following our service if issues return with your home appliance. Q. DO YOU REPAIR MY BROKEN APPLIANCE DURING THE FIRST TRIP? A. We can. We stock all of our vans with over 90% of the common manufacturer parts and the tools to perform our appliance repair service. If we do need to return at a later time to complete a repair, there won’t be an add-on service cost. We estimate we are able to finish over 90% of our appliance repair appointments on the initial visit. A. Yes. We will provide a 2-3 hour window for our technician to be at your residence. We are aware of how important our customer’s time is so we do our best to arrive within the earlier portion of our service window. That said, if a previous repair or appointment lasts a lot longer than thought it would, this allows the repairman time to be able to still arrive on schedule in the service window. Our repairmen call 15-20 minutes before their arrival for notice. Q. CAN YOU GIVE ME A COMPLETE LIST OF THE APPLIANCE BRANDS YOU SERVICE? I was delighted with the service provided by Fort Lee Appliance Repair. They came out quickly after I called them and the serviceman was extremely kind to deal with and answered many of my questions. He repairs my whirlpool appliances, and the price was reasonable and fair.